Every week it’s a craft, a cocktail, and friends. To learn more see the Too Cute Tuesday archives, join us on Facebook, or contact Nicole to start your own chapter. (It’s easy and free; we just like to coordinate). At Too Cute Tuesday, we’ll attempt anything that can be accomplished in an evening. And when I saw these edible crayons on the ReadyMade blog, I put them on the ‘future crafts’ list. OK, so my crayons wouldn’t rock this much but how cool is it to make something pretty, functional, and edible? I was going to try to make this. Well, ok it’s not this crazy but hey, I’ve got no skills and one evening to work with here. When I read closer that all the crayons were being held together by nuts, cereal, and melted marshmallows. And so began my experimental crafting on Tuesday. 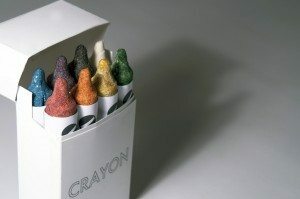 What happened was my crayons, while crayon shaped and slightly pigmented, never quite hardened. They were sort of like off Rice Krispie squares. I was about to wave the white flag when Chef Dan called. My chef/lobsterman boyfriend assured me that if I held off on crafting until Thursday night (when he was available), he could probably figure it out. Just to see him try to make this work, I did. 1. Grind cereal and sunflower seeds with mortar and pestle. 2. Add marshmallow (very little marshmallow at first). The idea is that the mixture gets crumbly and a little sticky. I found it more sticky than anything! An idea that Dan thought of is adding wax. 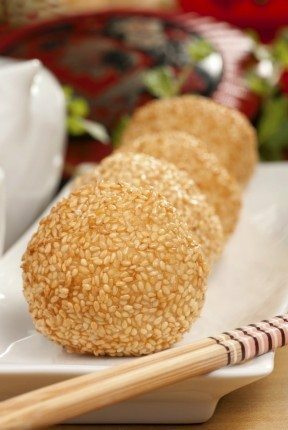 Wax is edible and would give some stickiness to the project. He also noted that maybe it was the fact the author used chocolate covered sunflower seeds that might have helped (we didn’t have them in our grocery store). Upon staring at the recipe for awhile, Chef Dan has come to the conclusion that the author ‘left something out’. I have no idea. The craft fail was so epic, the pictures aren’t even worth posting. So if you attempt to make these, please let me know what you did and if it worked or not. Aren’t we crafty, even if things don’t exactly come out as planned?